It seals small cracks before they can turn into big, pothole-starting cracks. It bolsters your asphalt against the relentless and damaging freeze-thaw-freeze-thaw cycle we go through every winter. After sealcoating, new, brighter parking lines are applied that are also easier to see in low light levels to improve visibility and safety for everyone using your parking lot. Make sure you’ve contacted a reputable snow removal team and are paid up so that they are ready to come and dig you all out when winter’s worst hits. Choose a snow removal company that has a good track record and lots of experience safely clearing snow without causing damage to curbs and asphalt. Also double check what sort of ice melt they use to ensure it’s the least corrosive type for your asphalt. For example, ice melts that are made with ammonium (or common fertilizer ingredients) are especially damaging, but calcium-based snow melts do the job with far less damage to the asphalt and environment. Ensuring clear drainage is one of the most important aspects of winter prep for your parking lots. Make sure any drainage routes are clear and in good working order before winter’s storms so that they can quickly usher water off and away from your parking lot. Clean up any spills and clear away debris, sticks, dirt, rocks, trash, etc. from your parking lots before the first snow hits. Spills can eat away at the sealcoat, particularly if they’re left alone there all winter, and rocks and debris can cause safety hazards and scraping damage when snow plows come through. 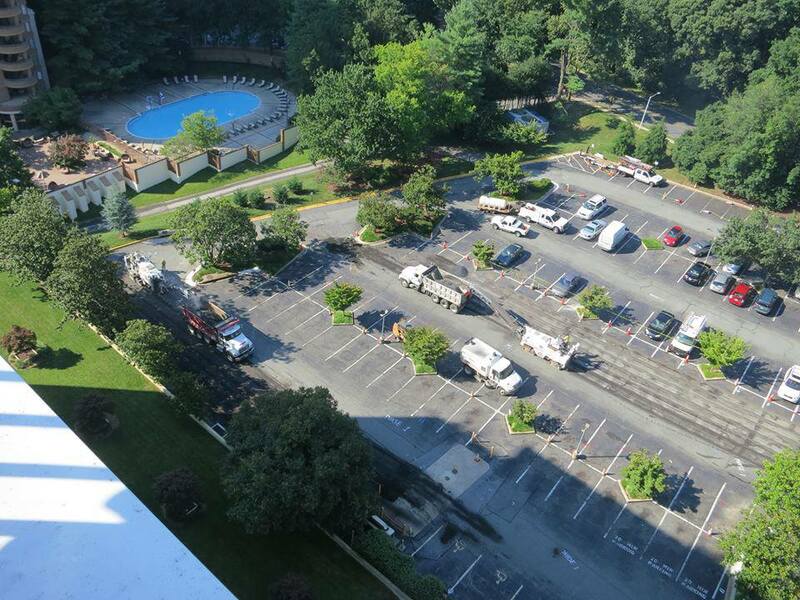 Espina Paving: (703) 491-9100. 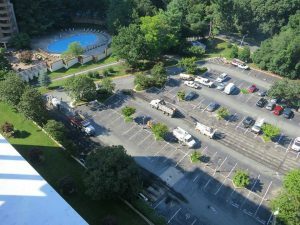 We can help you make sure your parking areas get through the winter in good shape!